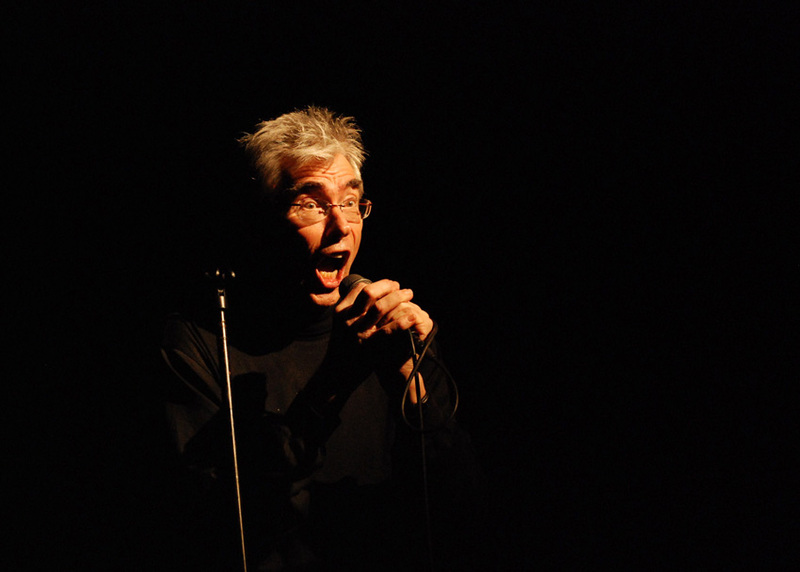 Jaap Blonk (born 1953 in Woerden, Holland) is a self-taught composer, performer and poet. He went to university for mathematics and musicology but did not finish those studies. In the late 1970s he took up saxophone and started to compose music. A few years later he discovered his potential as a vocal performer, at first in reciting poetry and later on in improvisations and his own compositions. For almost two decades the voice was his main means for the discovery and development of new sounds. From around the year 2000 on Blonk started work with electronics, at first using samples of his own voice, then extending the field to include pure sound synthesis as well. Blonk's work for radio and television includes several commissioned radio plays. He also makes larger-scale drawings of his scores, which are being exhibited. His book/CD 'Traces of Speech' was published in 2012 by Hybriden-Verlag, Berlin. A comprehensive collection of his sound poetry came out as a book with 2 CDs in August, 2013, entitled "KLINKT".